When employees thrive, the company thrives. Is your workplace working for you and your employees? Studies show that unhealthy work habits, like staring at computer screens and rushing through fast-food lunches are taking their toll in the form of increased absenteeism, lost productivity, and higher insurance costs -- but it doesn't have to be that way. 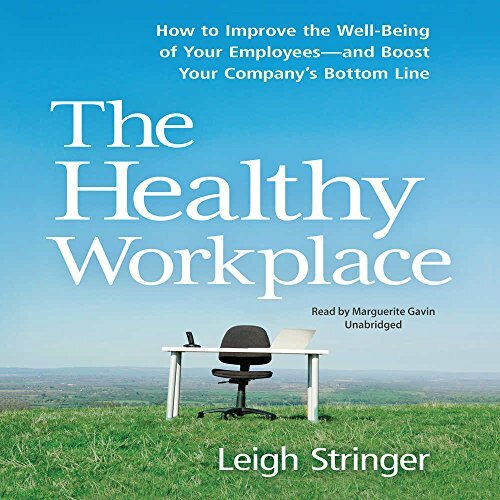 Filled with tips for immediate improvement and guidelines for building a long-term plan, The Healthy Workplace will boost both employee well-being and the bottom line. View More In Human Resources & Personnel Management. If you have any questions about this product by Gildan Audio and Blackstone Audio, contact us by completing and submitting the form below. If you are looking for a specif part number, please include it with your message.